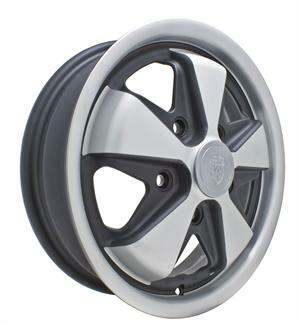 Home > Wheels > Porsche Alloy Black & Silver 4.5 & 5.5 Wide 15"
911 Alloy Fuchs are 15" and come in 4.5" and 5.5" widths. Wheels come with silver logo cap (w/porsche emblem) and chrome valve stem. Click product options to choose yours.